Today a look back at Myrna Loy before The Thin Man, before MGM, heck, even before her reputation for exotics in the first of the few old newspaper clippings to follow! From the Helena Daily Independent, January 31, 1926, page 7. 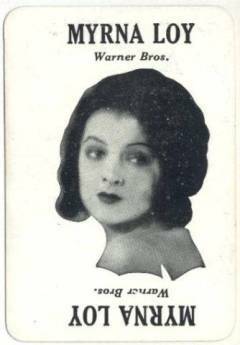 Local paper publishes article with photo about local girl made good after Myrna Loy is cast in Pretty Ladies (1925) for MGM. The text over the photo provides a chuckle all these years later as it sarcastically relays "Her right name is 'Williams,' but Loy sounds good in Follies." Yeah, guys, maybe she'll stick with it. 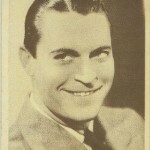 Loy, recently turned 20 by this time, "was first found a valuable asset to the moving picture world several years ago." Erm, no. The article largely centers on Loy's background in Helena and does a good job of describing various family members. 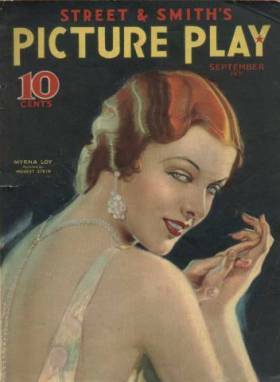 It gets Pretty Ladies all wrong though in describing Myrna as "one of Flo Ziegfeld's latest acquisitions" and somehow making it sound like Myrna is not only featured in Pretty Ladies, but that Pretty Ladies is the latest live Follies production back in New York. Pretty Ladies is a movie set in the world of the Follies and stars ZaSu Pitts and Tom Moore. Not Myrna Loy by any stretch. One 1925 newspaper review states that "The background is the 'Follies.' It is rather thinly disguised, for we recognize Eddie Cantor, Will Rogers and others; even the manager is made-up to resemble Mr. Ziegfeld." Interesting in mentioning Cantor and Rogers as neither are credited on the film's IMDb page. What Pretty Ladies is important for is the film debut of Lucille LeSueur, who would soon become known as Joan Crawford, as well as Myrna Loy's very early screen appearance. Also cast in the film is fellow future MGM high roller, Norma Shearer. In her autobiography Being and Becoming , written with James Kotsilibas-Davis, Myrna remembers that she and Joan "were both chorus girls in this thing," and that the film used "Joan and I, these two little extras, as part of a human chandelier. They had us hanging on to this thing with our toes out, all these girls going in different directions. It was a riot" (31). 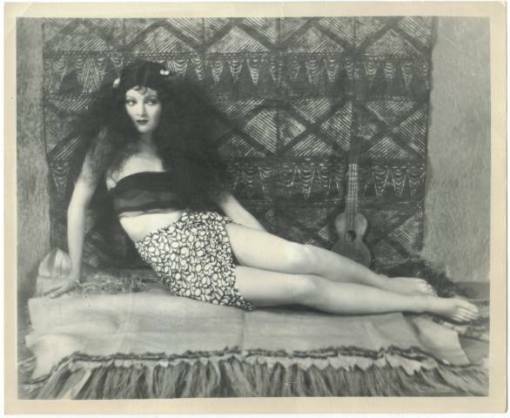 "Pretty Legs Win Fame on Screen for Myrna Loy"
By Dan Thomas for Capital Times, May 6, 1928, page 38. Thomas drools over the "shapely limbs" of others who've taken Myrna's path to screen fame: Mae Murray, Gilda Gray, Dolores Costello, Billie Dove, Marion Davies, Joan Crawford, being among those mentioned. 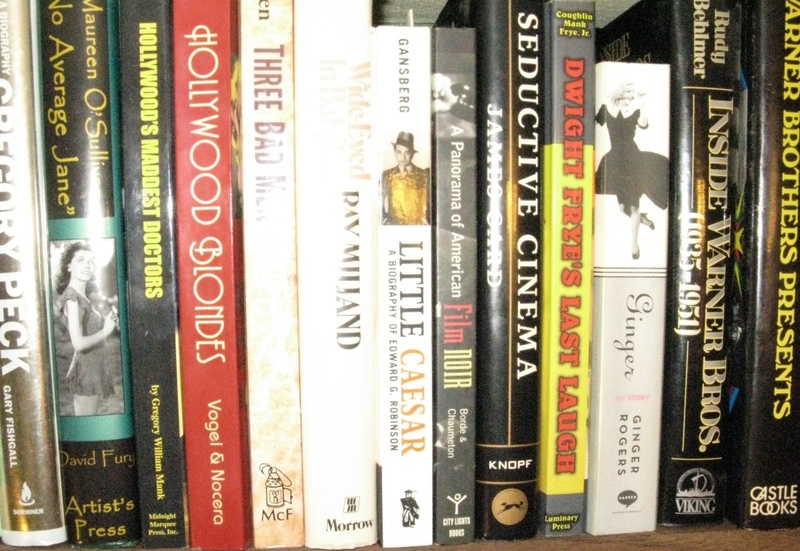 Thomas writes that "Make-believe village remembers vividly when the young actress was dancing in prologs in a Hollywood theater, just one of fifty or more girls. Yet, even in that forest of beautiful legs, Myrna's were particularly noticeable." Sure they were. The "exotic Myrna" is quoted by Thomas as saying "I realize that it was my legs that gave me my start and I certainly am going to do everything possible to keep them pretty. Who knows, I may have to depend upon them to earn my living again some day." 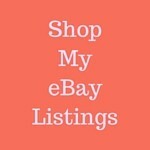 Don't sell yourself short, Myrna. "Myrna Loy is a silent artist with a very good microphone voice. Her work in The Black Watch and The Desert Song shows this." "Hollywood in Person" by Mollie Merrick. Montana Standard, August 4, 1929, page 21. 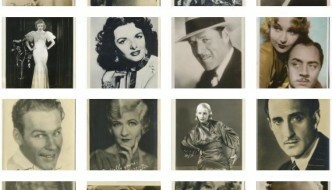 "Myrna Loy is one of the most interesting personalities in pictures. 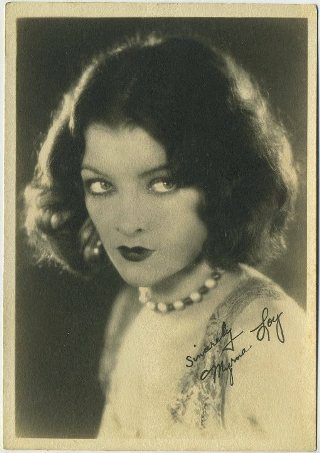 Great personal beauty, unique and seductive makeups, combined with amazing interpretative ability, have made the name of Myrna Loy synonymous with the mysterious and exotic parts Miss Loy is becoming more and more in demand for roles of this type." The Helena Daily Independent, December 13, 1930, page 2. Loy, Myrna and James Kotsilibas-Davis. 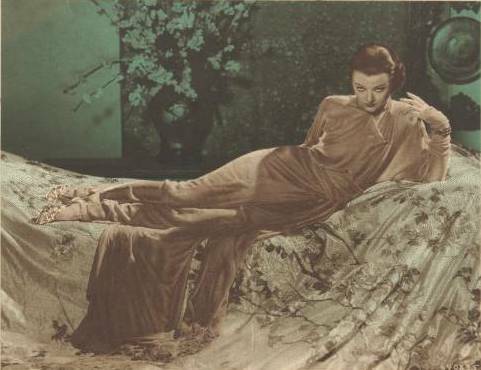 Myrna Loy: Being and Becoming. New York: Alfred A. Knopf, 1987. "'Pretty Ladies'--And Some of Them Clever, Too." Hamilton Daily News. 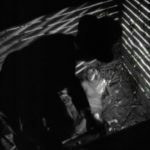 19 Dec 1925: 8. Newspaper Archive. Web. 1 Aug 2012. 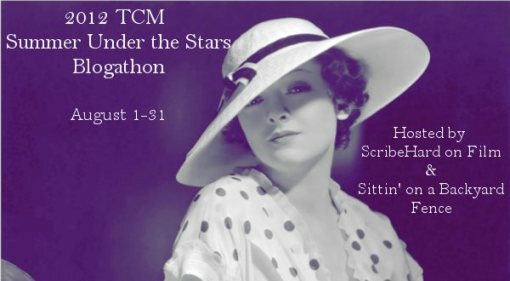 If for any reason you are looking for TCM's August 2, 2012 Myrna Loy schedule, just click this text and the section will be expanded to reveal it.